Mirta Rosenberg was born in Rosario, Santa Fe, Argentina on October 7, 1951. She now lives in Buenos Aires, where she translates poetry from English and French and writes her own work. Her poetic debut came in 1984 with the volume Pasajes (Passages), followed by the 1988 work, Madam. Five further books followed before he collected works were published under the title El árbol de palabras (The Tree of Words) in 2006 by the publishing house Bajo la luna. The former publisher had been her son and his girlfriend, but in 1990 Rosenberg took over the job, changing the publishing house name to Bajo la nueva luna (Under the New Moon). Rosenberg has also translated a wide range of English-language authors from Katherine Mansfield, Derek Walcott, Marianne Moore, and H. D. to James Laughlin, Seamus Heaney, and Louise Glück. With Daniel Samoilovich, she translated Shakespeare's Henry IV as part of an Argentinian project of translation Shakespeare's plays. Since 1986 Rosenberg has also been on the editing staff of the poetry journal, Diario de posía. In 2003 she was awarded a Guggenheim grant for poetry, and in 2004 received the Konex prize for her literary translations. 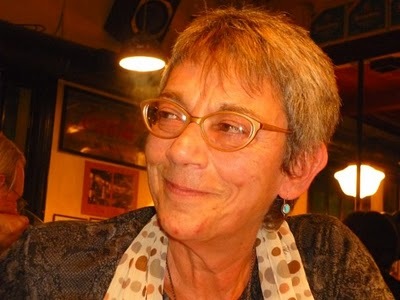 Writing on the Poetry International Web, critic Bart Vonck has written of Rosenberg's own poetry: "Mirta Rosenberg's poetry has its own independent voice in the highly varied panorama of present-day Argentinean poetry. She sings from the depths of language or from her own personal reading of it and the broadening that language in translation allows to appear. In Rosenberg's (often enigmatic) poems, internal rhymes, rhythm, plays on words and repetitions often occur as components of her own wayward writing. With considerable stylistic distance she sounds the abyss of intimacy."